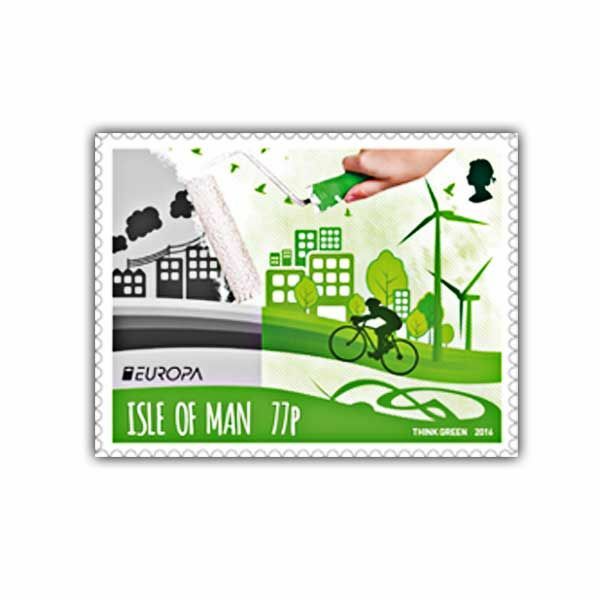 Celebrating the Isle of Man's participation in the 60th anniversary of the Europa stamp motion, this highly collectable unique envelope features 2 of the special Europa stamps, a special cancellation for the very first day of issue and a details card outlining more about the Isle of Man's dedication to ecological security. 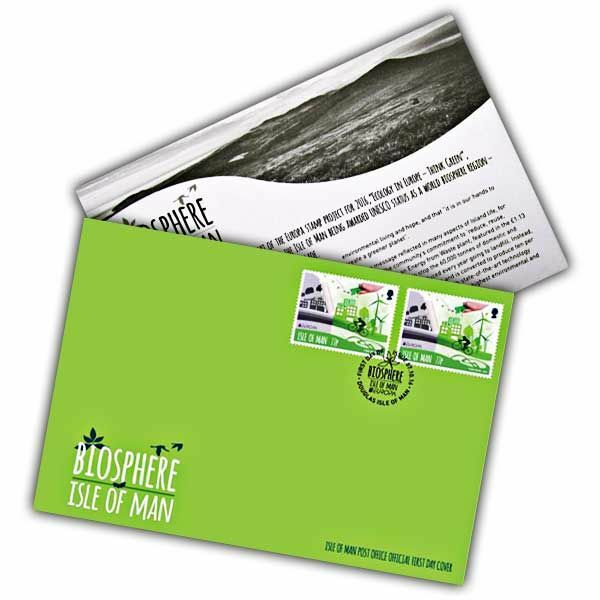 To mark the anniversary a single style on the theme Ecology in Europe-- Think Green was shared by postal services throughout Europe and motivated our Biosphere Isle of Man stamp set. Each First Day cover bears the logo of the Forestry Stewardship Council, highlighting the Isle of Man Post Office's dedication to sustainability and safeguarding the environment.